Red Meat and Poultry processing rooms that are held at 45 degrees and cooler have significant moisture issues from washdown and clean up. 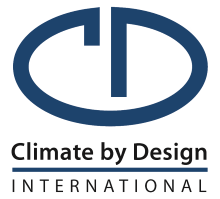 CDI provides solutions that meet your design criteria. Freezers used in frozen food production facilities frequently require dehumidification to keep chiller systems working efficiently and workers safe. The Dry Dock system captures humidity (moisture) near the exterior dock doors and delivers dehumidified (dry) air where it is needed most - above the doors entering the freezers.